Alright, it’s here! 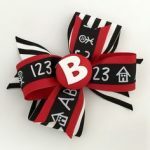 Blazersland Mailbag #6, March 2019 edition where I answer your questions regarding the Portland Trail Blazers. Whatever you do don’t ask Chuck Norris, he will kick you…in your face. The quick answer: No. Not, unless the Blazers resign him past this season. 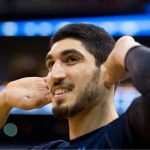 Kanter has said it’s going to take another year or so to get his visa issues in order. So, if the Blazers make the finals (should I have said when? Is that the proper vernacular? )and they are playing Toronto, Enes will play in the home games, but not the away games…dang. There are going to be many decisions to make this summer, and they will determine the trajectory of the team. Al Farouq Aminu, Jake Layman, Seth Curry, Enes Kanter, and Rodney Hood are free agents. Layman is the only one who is restricted. The Blazers will keep him. They will have to pay the man, but since they have his bird rights, they can wait till everything else is done to take care of that order of business. Resigning everyone else is going to be tough, unless Olshey can somehow move Evan Turner and Meyers Leonard. They will both be in the last year of their contract next season, so they will be easier to move by the deadline, but by the summer? That’s a tough cookie. The Blazers will have their MLE, and they will probably use it on Hood. Curry could be an odd man out. 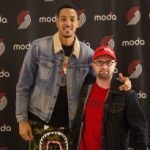 Aminu will probably be gone too, Collins taking over the starting power forward position out of his cold unsigned hands. There is a lot of work to be done. 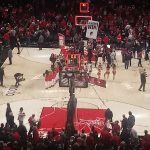 But, as Olshey sees it, he’s just going to enjoy the rest of the season and cross that bridge when it comes. I don’t envy him. Harkless isn’t a free agent until 2020-21, so the Blazers can keep him if they want. But, he will have value as an expiring, especially with the performance he has given since the all star break. If it continues, the Blazers could easily trade him in the offseason to make room. I know the feeling is no significant free agents would come to Portland, however, I do think its possible. Well Hoop, the Blazers aren’t going to have much money this offseason. Even with Portland’s free agents taken off the payroll, team salary will still be up at $126 million, $17 million off the floor, and just $6 million below the luxury tax line. 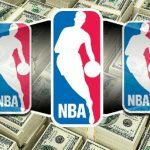 They will still be paying off the stretched contracts of Anderson Varajeo, Andrew Nicholson, and Festus Ezeli. The Blazers will have to put in a lot of work if they want the cash to chase a free agent. As it is, they won’t be seeing that kind of money till summer 2020, when Meyers, Turner, and Hark will be gone. 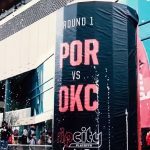 The Blazers will be looking to move those contracts before then, maybe at the draft, or in early summer, but likely won’t be able to till the deadline. 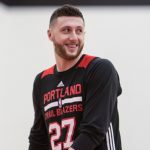 It appears unless a miracle happens, or they choose to go deep into the luxury tax, the Blazers are going to lose some players and take a step back. The Blazers won’t have the money or be in the running for guys like Anthony Davis, Kawhi Leonard, or Klay Thompson, Unless they finally trade CJ and Co to make room. I don’t see that happening. If the Blazers do make some room by getting rid of Turner, Meyers, and perhaps, Harkless, they could go after guys like Mario Hezonja, Kelly Olynyk, JaMchycal Green, Taj Gibson, etc. The Blazer are more likely though going to be busy trying to figure out how to resign their own free agents. A little more than a year ahead in summer 2020, the Blazers will have more room. That is, if they don’t trade Meyers, Turner, and Harkless for longer contracts. Look for them to be players in free agency then. If the Blazers win 50+ games, Neil Olshey would probably like to bring this team back next year. But, as you. can see above, the only way he can resign everyone is to wade into luxury tax territory. Not sure, Jody Allen is down for that. If Neil can have his way Meyers and Evan will be gone, to provide room to resign everyone else. 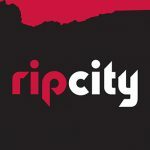 Expect Stotts to return. His contract runs through next season, If he does get fired it will likely be during next season ( the ides of March) or after. It will be hard to expect much as fans, with the pile of you know what that Neil is knee deep in, with all the contractual mistakes he made back in 2015. 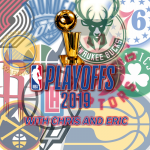 As Blazers fans, we have become used to seeing the Blazers win games and make the playoffs. Should we expect more? I wouldn’t hold my breath. If the Blazers are swept or make a first round exit, Stotts may be gone this summer. Olshey may be right behind him. It will be be hard to keep defending this current cycle, if the results aren’t there. The Blazers though are in the midst of being sold, so I wouldn’t think big moves like firing the coach, GM, or trading a star player will happen till after the sale is complete, and recipt is in hand. If the Blazers make the wrong moves, or act prematurely, they could end up diminishing the value of the team. Whatever happens short of a championship, there will be fans who are upset and don’t agree with the trajectory of the team. There are fans who don’t like Stotts, Olshey, or certain players, and will remain angry till they get a one way ticket out of Portland. Likewise, there will be fans who are ok with it. There is an impatience when it comes to fans, they want to see their team win it all every year. But, if you can see the bigger picture, then perhaps you can practice some patience, otherwise you will find yourself in the former. We are talking about Terry Stotts right? We can hope so, but he hasn’t really made much adjustment to that issue so far this season. He will have off players set a lot of screens to get Lillard and McCollum open. The good news is the Blazers have better shooters this year to make defenses pay the price for double teaming Portland’s backcourt. Curry, Layman, Hood, Aminu, and Harkless will all be asked to be open for threes. Kanter and Nurkic will collapse defenses. The Blazers are weaponized this season, they can shoot from anywhere, attack the rim and corral second chance points. They are a different creature this season than last. A lot depends too on the match up. 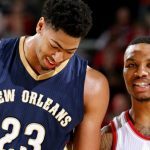 Though every team knows how succesfull the double team defense does against Portland, courtesy of the Pelicans, and will employ it. The Blazers better be ready.